Although we call ourselves fashionistas and like to spend our free time poking fun at the haute couture of gaming, I’ll be the first to admit I don’t know as much about fashion as I could (like whether that’s even the right use of “haute couture”). What better way to learn than to use video game characters as study guides? The “Fashion A-Z” series will choose one fashion term per entry to explore via the clothing (or lack thereof) of game characters. This week: the A-line dress. This is a fairly simple style that you’ve likely seen manifested anywhere from the subway to the runway. A-line dresses match their name, looking like a capital “A” from straight on. They’re narrowest from the shoulders to the waist, and then lightly flair out from the waist to the knees (or below). A classic A-line will be sleek and beltless, like Amy Rose’s above. But we all know how video game characters love their belts, so many of the examples that follow are visibly cinched. Belt or no, they’re still A-lines–just slightly gaudier A-lines. It’s surprisingly difficult to find a picture of the adorable Little Sister from BioShock, but in the few instances where she’s not hunched over draining the ADAM from a dead body or squirming out of your murderous grasp, it’s obvious that she’s rocking a simple A-line. Although Joey hates most of Caitlyn’s hat choices, her dress decisions are less soul-crushing. Her default costume is some sort of Steampunk Alice in Wonderland Mad Hatter craziness that stops way short of the three-finger school skirt rule. Despite its PG-13 shortness, it still maintains the telltale flair. Presea’s dagger sheath-slash-fanny pack is emphasizing her skirt’s fullness, but even without the cinch cheat, she’d still have a classic A-line. Her dead eyes may indicate otherwise, but we suspect Presea is fairly concerned with fashion in her spare time. As with Presea, Cassandra’s rocking the ultra-sleek sleeveless look that places visual emphasis on the fullness of her dress. Cassandra opted to ditch bottoms entirely in later Soul Calibur entries, but before that, she preferred A-line skirts to anything else. There’s so much going on here–from horns to giant skull necklace–that the dress is really just an afterthought. But, in that brief moment of recognition, even with the devil tail and terrible posture, it’s clear that this fits our category. We’ve already complained about Lenna and company’s mostly mundane choice of default wardrobe, but love it or hate it, Lenna is wearing an A-line dress. Really, when you’re mostly a blob of color and a pair of legs, it’s hard to wear anything else. Even Bartz is kind of wearing an A-line, and that makes me hate him a tiny bit less. I haven’t played enough Phoenix Wright to know who this girl is, but I do know I love her crazy schoolgirl-magician ensemble. This dress has the tiniest of flairs, which makes it a “modified” or “slim” A-line. Also, we’ll need to find a term for whatever that Lucky Charms heart-shaped horseshoe fanny pack is and report back in a later feature. Melia’s dress is misleading at first because she has so much else going on: headdress, unattached collar with sleeves, Snuggie-like cape. But the dress itself is a gorgeous, multi-layered A-line that is both regal and flattering, even if you’ll only see it for a few levels before she unlocks something better. Flora has a few different dresses, but she always favors the A-line skirt. It’s a flattering choice for most figures, so who can blame her? 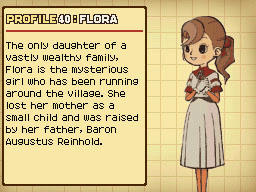 Also, it’s not like the Professor Layton crew has super involved wardrobes. This is a world where that pink bow-tie is probably considered gaudy. I’m not sure why Roll’s clothes are so much less robotic-looking than Mega Man’s, but she’s definitely got the better fashion sense. His skin tight body suit coupled with clunky limb accessories looks like some kind of torture device, whereas Roll’s slowly evolving dress always manages to combine form and function. She’s even managed the classic A-line without a belt in numerous iterations and while holding a fish. I’ve never played Time and Eternity and honestly had not heard of it before writing this article. But Toki earned an inclusion for numerous reasons: first, she obviously meets our default dress shape requirement. In addition, I love everything else about this outfit, from the transparent wing-cape to the hourglass accoutrement on her (second) belt. Even her rifle has beautiful detailing. The dullest part of this image is the dragon–the dragon, for Pete’s sake! I’m pretty sure Serena is channeling Jennifer Aniston’s crazy Claire from 30 Rock, but she still snags a spot in our selection of samples. She’s one of the few skirts in a sea of dresses, but the waistline is almost at her bust, so we’ll pretend it’s a single piece. Mist might also be wearing a shirt over an A-line skirt (over another skirt? ), but it’s nearly impossible to say for sure. What we do know is she’s wearing gorgeous Yuna sleeves and a crazy pair of sandal-boots, so she’s worth a look regardless. *The image above is from Rune Factory: Frontier, but she wears the same clothes in both games. Although you could argue Princess Peach’s classic long dress is an A-line, it’s too borderline ballgown for comfort (aka, “full” A-line). However, her shorter, sportier garb for games like Mario Golf and Mario Power Tennis fits our requirement to a tee. 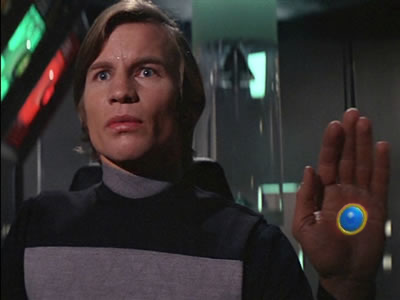 The giant Logan’s Run brooch in the middle of her chest seems a little out of place on her sportswear, but we’re not here to judge: just to learn. This entry was posted in Fashion, Video Games and tagged Dresses. Bookmark the permalink. Also, it’s a good thing Officer Jenny doesn’t carry a gun, because you know Serena would steal it. Are you sure we’re not here to judge? 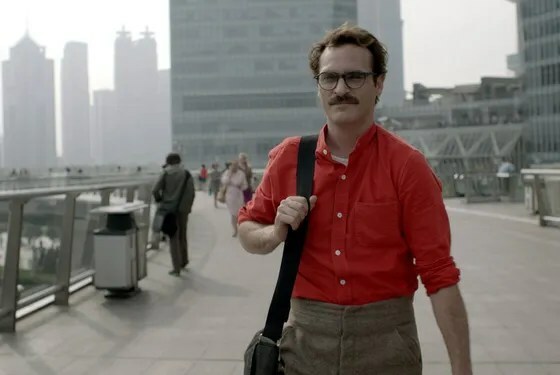 Because Serena’s glasses-hat and Joaquin-Phoenix-in-Her pants are making me want to.